Boracay makes it to the “New Year’s Eve Destinations” list based on international survey. With this survey out, maybe even more will be interested about the different activities to enjoy in Boracay, like Helmet Diving. The picture above was taken in Boracay a few years ago. Helmet Diving was the highlight of my trip. 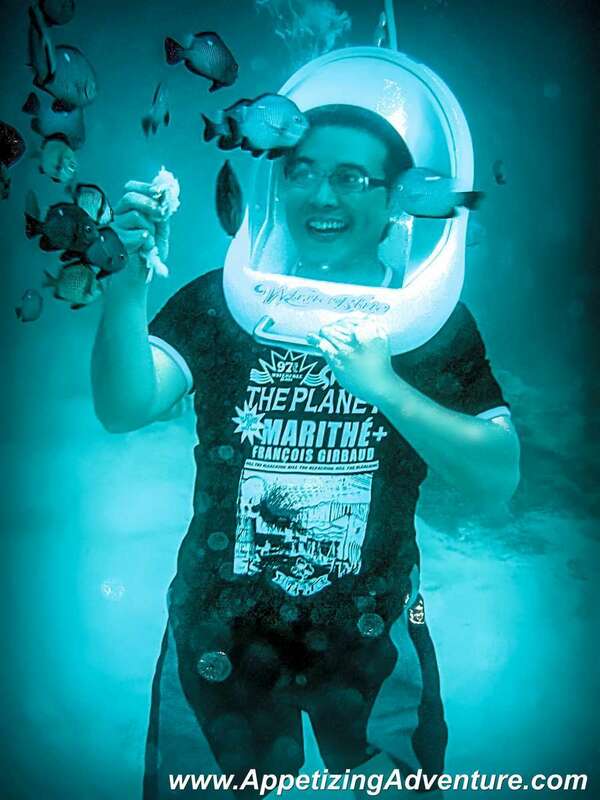 The helmet allows the tourist to wear glasses, and this is also how you can breathe with ease underwater while fish-feeding. Try Helmet Diving when you visit Boracay. Now back to the survey. AGODA puts Bangkok (Thailand) as the top destination and Boracay at number 13 from among 24 destinations in the list.